Hope everyone had a great Christmas. Goody boxes were a big success again this year. 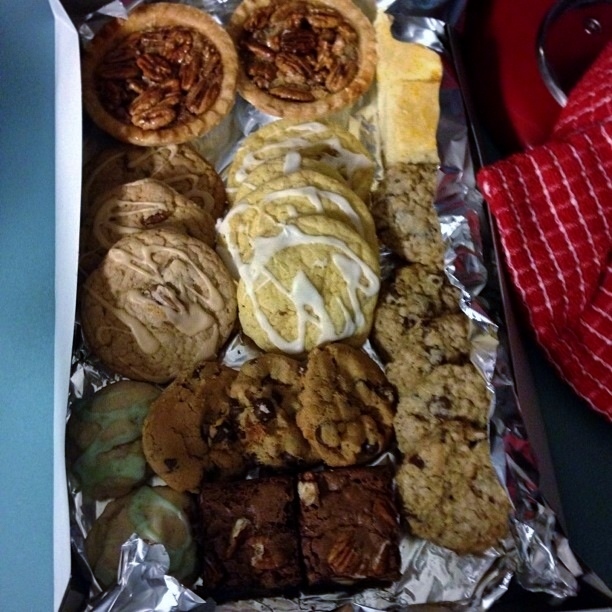 Twenty-seven family members received these tasty treats. 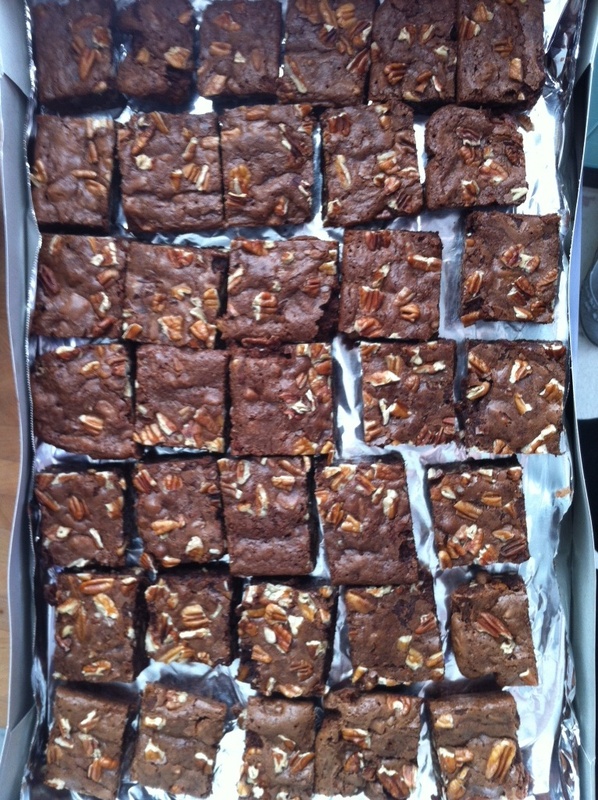 I baked for two days to put out twenty-seven gift boxes. 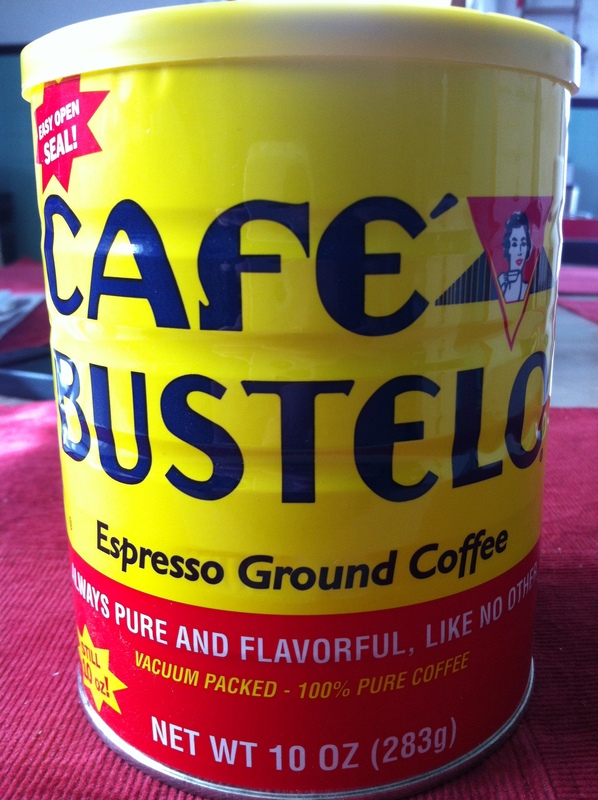 If you are a coffee drinker and need a boost, you might want to try a little Café Bustelo. It’s an espresso ground coffee that’s tasty, inexpensive, and accessible. My little friend in the yellow can goes for six to eight dollars. It’s very popular in the Miami area. Use a 9x13x2” pan. Line pan with oiled or buttered wax or parchment paper. Melt butter over medium heat. Off heat, add the chocolate by pieces. Let stand 2 minutes, then whisk smooth. In a large bowl, stir 1 egg into the brown sugar. Make sure lumps in sugar are dissolved. Add remaining eggs one at a time. Stir in sugar, then the vanilla and salt. Stir in the chocolate mixture. Finally, fold in flour, then the 2 cups of pecans. Scrape batter in oiled pan, and smooth the top. Scatter remaining 1/2 cup pecans over top of batter, and with your fingertips, gently press them in. Bake for about 30-35 minutes, or until toothpick inserted into center emerges clean. Wrap and refrigerate pan so the brownies set completely at least 4 hours. This makes the brownies easier to cut. Grease a 13x9x2” pan and line with wax or parchment paper. Stir together flour, sugar, and salt in a bowl. Add butter, eggs, extract, and zest. Using mixer, beat until well-blended. Pour batter into prepared pan and bake for 30 minutes or until golden brown and set. Remove from oven, and pierce entire cake with toothpick. For glaze, mix all ingredients together, and stir until smooth. Add more orange juice if you feel glaze is too thick. 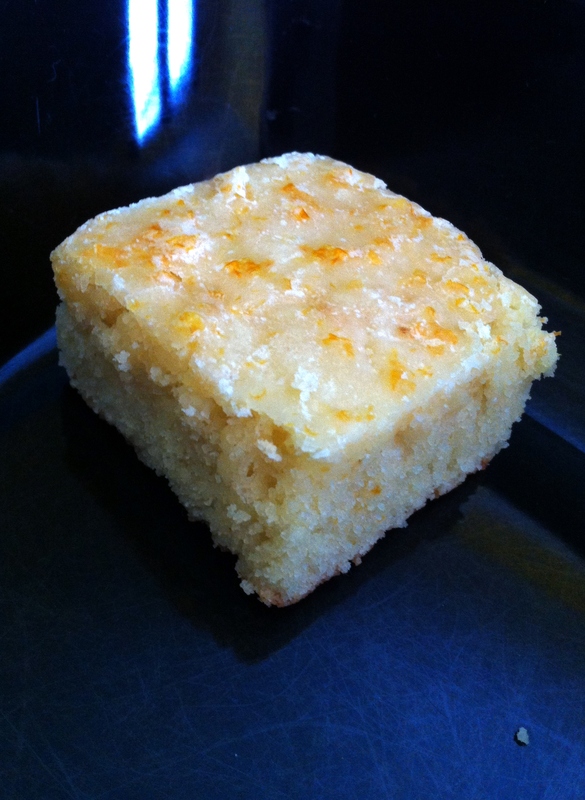 Pour glaze over cake, let cool, and cut into squares.